Welcome everyone to the first-ever 22nd & Philly Scarpetta Awards! Why the Scarpettas? On the About 22nd & Philly page, we detail why we started this blog and how we define a good food experience: "at the end of the day, if Bradd cleans his plate with a piece of bread, you know it was a good meal." Little did we know there is an Italian phrase for using bread to clean your plate, Fare La Scarpetta. We learned about the word from Anthony Bourdain's show, The Layover, when he visited Rome. What better way to characterize our own "Best Of" awards for Philadelphia? The Scarpettas are based on the eateries we visited in the past year, food quests, local events, readers and friends we’ve met, among other considerations. 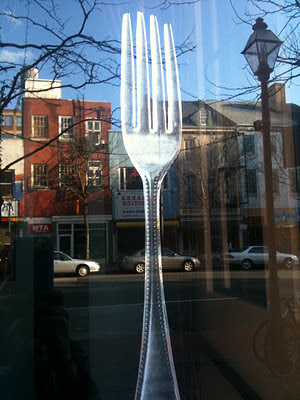 It's our way of pointing out some of our favorite - and least favorite - discoveries within local food scene during 2011. Either our plates were clean, or something was left to be desired. Best New Restaurant: Sbraga. This was a difficult one with many strong nominees. But, our overall experience at Sbraga was tough to match. The taste, presentation and uniqueness of each dish was supreme. For these reasons, we’ll honor Sbraga as the best new place we tried during 2011. Best Sandwich: Paesano’s Lasagna Bolognese. A slam dunk winner and the clear leader of Sandwich Quest, which saw us conquer a ton of sandwiches (we haven't written about them all yet…). Endless Simmer you nailed this one! Best New BYO: 943 Cafe. 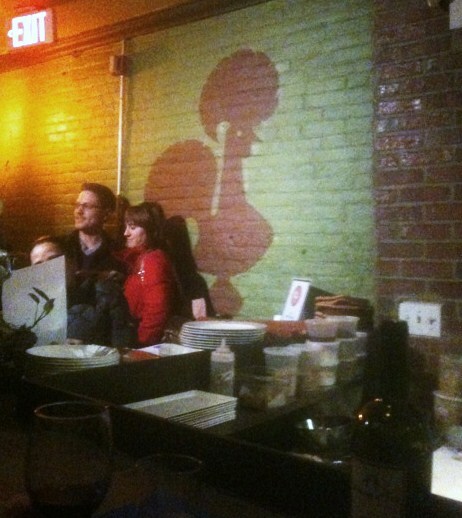 Our three-hour long feast of delicious Argentinean/Italian food left a mark. We continue to recommend it to friends and strangers alike as a friendly, affordable spot with great food. We hope this Italian Market gem becomes a Philadelphia mainstay. Biggest Disappointment: Blackfish. After being named the #1 Restaurant by Philly Magazine, Blackfish was high on our to-do list. We finally made it late last year, but came away deflated. It wasn't that the food was bad, but it was a far cry from #1. It just didn't resonate with us. Stay tuned for the full review. Best Hot Chocolate: RIM Cafe is certainly the best spot for a one time, novelty drink. But if you want a go-to spot for hot cocoa, visit the Capogiro at 20th and Sansom and get the Italian hot chocolate. 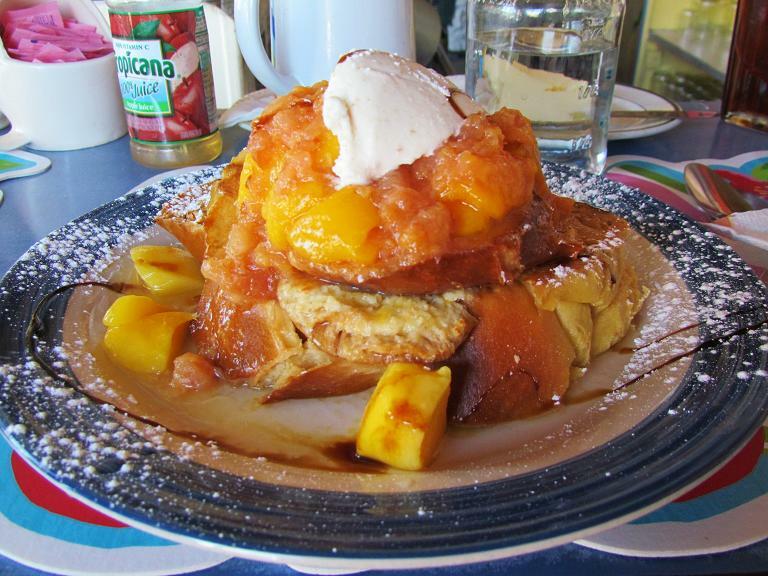 Best Brunch: Carman's Country Kitchen. 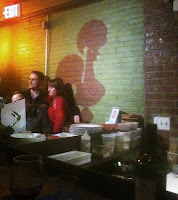 Totally fun, random, not-for-children decor and a mouthwateringly good menu that changes every week. 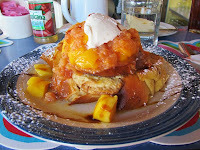 Challah French Toast with mangos in a peach/pineapple sauce with key lime gramcracker gelato? Hello. Best Food Truck: Koja Truck. Some food trucks have celebrity power behind them (See Guapos Tacos), while others count on flair and personality. But Koja's bulgogi cheesesteak was the best bite of all the trucks we stopped at in 2011. Favorite Reader Contribution: Operation Whiz Wit. We don’t write much about the overdone theme of cheesesteaks, even though we do love to eat them. But reader Sarah put several cheesesteaks through a rigorous test and we were more than grateful she gave us the chance to publish the results. It actually turned us on to a few new places we'd never heard of. Best Food Event of the Year: Philly Cheese Experiment. Nick Suarez and Theo Peck are two of the most passionate and down-to-earth foodies we met in 2011. Their commitment to travel around hosting amateur food competitions is an inspiration. The event was off the charts, combining great beer from the Brooklyn Brewery with some of Philadelphia's most enthusiastic home cooks, who spent hours preparing cheese-based dishes for us to taste. Congrats again to the winners and participants. We salute you! Most Overhyped Food Event: Vendy Awards. While it could also win the best concept for an event, the Vendy Awards ended up a maze of long lines and it didn't live up to expectations, given the steep price of admission. We found it difficult to really get a feel for each food truck. Sweltering hot temperatures didn't help, we're sure. Let’s hope the 2012 Vendy Awards makes a better showing. "We Really Need to Go Back There" Award: Koo Zee Doo. Another eatery that really just floored us with excellent food, nice atmosphere and good prices for a BYOB. Plus it serves Portuguese food, which is really unique to Philly's growing international restaurant scene. We've only been once, but would be rich if we got a dollar every time we say we have to get there again. Best Excursion: Tacconelli’s. The Port Richmond legend is not the easiest place to get to and you have to plan your visit ahead of time (see why in our post). But we're glad we ventured there for a memorable bonding night with friends and some of the best pizza in Philly. Spot to Relive Fond Memories: Manakeesh Bakery. As we explained in our post, we spent several years trying to track down baklava that reminded us our moment of pastry perfection in Santorini, Greece. While Manakeesh is Lebanese, not Greek, it took us back to that feeling and apparently raises quite a stir for others, too. Favorite Photo You Never Saw: Kristy is constantly snapping photos of her food, as well as interesting scenes around Philadelphia. 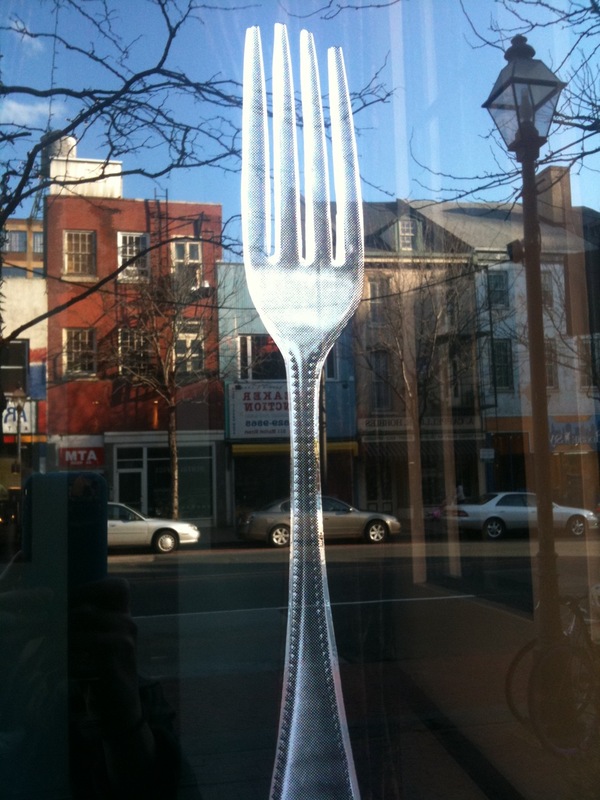 This was a quick iPhone shot of the door to Fork, with a really cool reflection of its Old City neighborhood. It's on our Facebook page but never made it to a blog post. Looking forward to trying all the nominees for next year's Scarpetta's! excellent post! definitely agree with a lot of it. been meaning to make my return visit to koo zee doo. i also mean to make it down to 943!